Own Scorpion Season 1 DVD from Deff, DVD, Blu-Ray & 4K Video Specialists - Free UK Delivery..
America’s favourite misfit geniuses are back! Elyes Gabel stars as the leader of Scorpion, a team of prodigies who use their intellect to solve the world’s deadliest problems. Also starring Robert Patrick as tough-as-nails Homeland Security agent Cabe Gallo, and Katharine McPhee as Paige, a former waitress who interprets the “normal” world for the team, while they help her understand her withdrawn, genius son. Includes all 24 episodes f.. The team is back for their most exciting season yet. 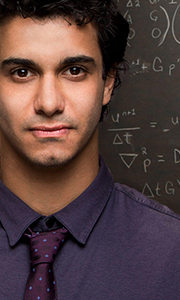 Elyes Gabel stars as Walter O'Brien, the leader of a team of misfit geniuses who solve the world's deadliest problems. Also starring Katharine McPhee as Paige Dineen, Robert Patrick as Homeland Security agent Cabe Gallo, and Eddie Kaye Thomas as Toby Curtis. Scorpion: Season 3 includes 24 action-packed episodes. Special Features Unlikely Heroes: Scorpion Season 3, You're Invited, Sco.. When only a genius can save the world from disaster, Team Scorpion accepts the challenge! In Scorpion: The Final Season, Elyes Gabel stars as Walter, the daring head of a band of brilliant misfi ts whose unique minds must defuse deadly threats before it's too late. Robert Patrick returns as Homeland Security agent Cabe Gallo and takes the team everywhere from Louisiana to Northeast Africa as they confront new dangers and personal proble..
All the episodes from all four seasons of the American action drama starring Elyes Gabel as genius computer expert Walter O'Brien. Having founded Team Scorpion, a company made up of himself and other highly intelligent individuals, O'Brien is enlisted by Agent Cabe Gallo (Robert Patrick) of Homeland Security to help protect the country against complex and high-tech threats. Season 1 episodes are: 'Pilot', 'Single Point of Failure', 'A C..